New Delhi is a very large and spread out city. It is a good idea to spend several days in each part; New Delhi, South Delhi, Old Delhi, etc. This is a story of my day in New Delhi. I started from Hostel Bed and Chai, where I volunteer as a worldpacker. From here, I walked to the Greater Kailash Metro Station about 20 minutes away. I took the train to Khan Market, about 12 rupees. Tip: Woman, it is a good idea to take the ‘Women Only’ part of the metro as the metro is very crowded. Leaving the Khan Metro Station, I walked several blocks to the Khan Market. It is very crazy and crowded but an interesting experience. Keep your mind and eyes open but you may want to plug your ears! Khan Market has great coffee, henna, and shopping but it is one of the more expensive markets. 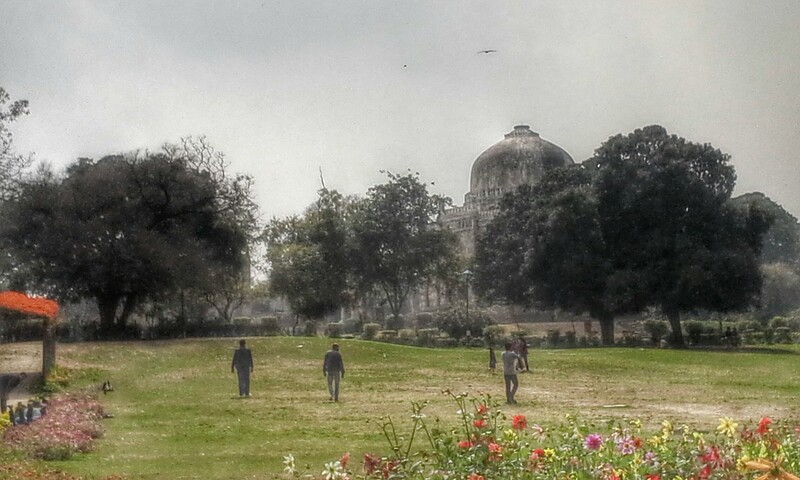 I walked to Lodi Gardens after Khan Market. It is a very beautiful and calming place after the hectic crowd of the market. I recommend walking the whole park to see all of the tombs, flowers, lakes, and rivers. I stopped after to have a delicious and peaceful lunch at the Lodi Gardens restaurant. 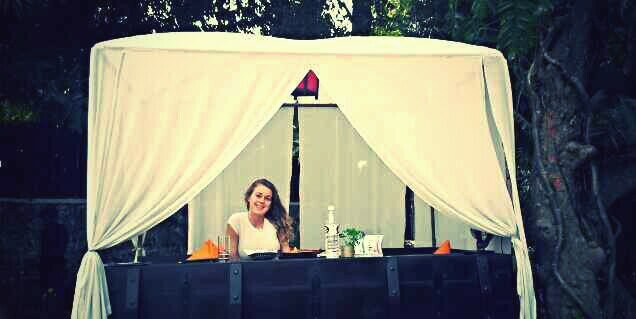 They offer all types of food from various countries and many different seating arrangements such as in this caravan! 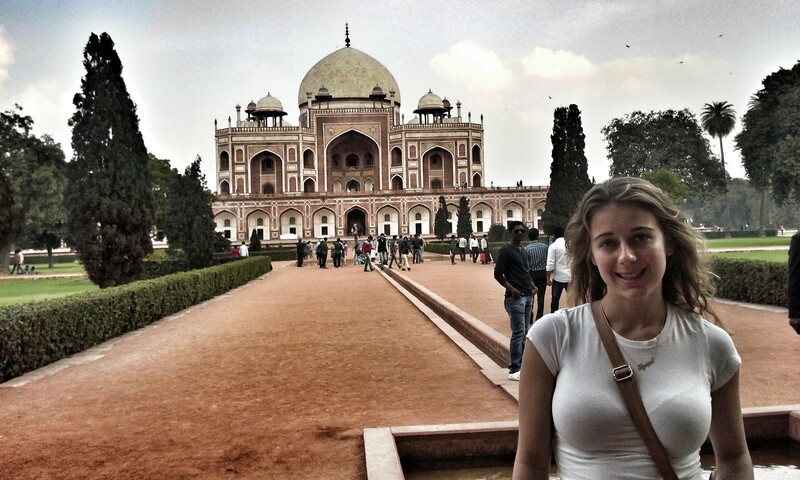 After the restaurant, grab a tuk tuk to Humayans tomb for no more than 100 rupees. This is one of the most breathtaking visual experiences because it is such a large and beautiful land in the middle of the city. Even the Obamas felt the need to stop here on their visit to India! There is twelve beautiful gardens and many tombs. Humayans palace is enormous and has a beautiful view. This should definitely not be missed. Around sunset, walk to Hazrat Nizam-ud-din Dargahm a muslim tomb. This tomb is extra special on Thursdays after evening prayers when Sufis gather to sing. Cover your head and take off your shoes before entering. It is extremely crowded, loud, and a bit dirty. You may feel afraid of the passionate air of the tomb but embrace it and do not run! 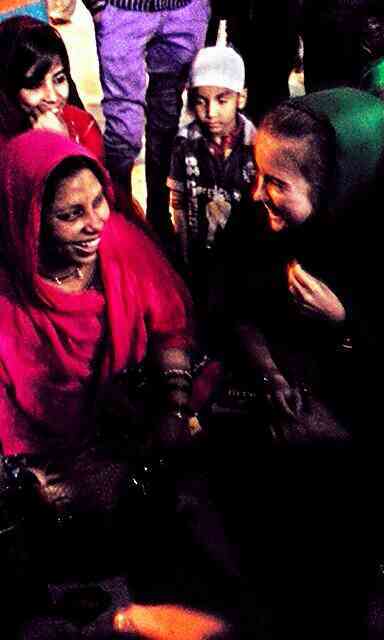 This is the best experience in New Delhi to understand and love Delhiites and their religion. After, catch a tuk tuk back to Bed and Chai to relax, drink some delicious chai, and be thankful for your day in India!